During the cold and snowy winter months, many people travel to vacation homes or rentals down in the warmer southern states. Southern locals call them “snowbirds” because they flock down south during the northern cold and are quick to go back home when the south starts heating up. The increase of drivers on the roads leads to more traffic, aggressive driving, and inevitable car accidents. It is understandable that you don’t know where all your destinations are while you’re on vacation. However, that’s why you should always plan ahead. It is easy to be caught off guard and realize you have to make a right turn when you are in the far-left lane on the road. Instead of cutting across three lanes of traffic and risking an accident, search where you’re going before leaving. Apps are available on your phone as well as resources readily available on your computer. A simple Google search will show you exactly where you need to go so you have a clear understanding of where you are headed. Different states and cities have different road rules. For example, some states require you to drive on the right lane of a highway to leave the left lane for drivers that are passing only. Other states don’t have such a rule. To avoid car accidents and being pulled over by the police, you should always make sure you know the law of the state you are driving in. You can Google search the state’s driving laws or call the non-emergency local police number for answers and explanations when you’re unsure of a specific law. You will likely drive slower when you are in an unfamiliar place. However, there are many locals that will not be so understanding. Locals need to go to work, appointments, and school. They know where they are going because they have likely lived there for quite some time. They may be quick to drive aggressively and be frustrated when a non-local doesn’t drive like the other locals. Be aware of your surroundings and prepared for this possibility. In addition to aggressive driving, it is easy for locals who are comfortable with the local roads to check their social media or text while driving. 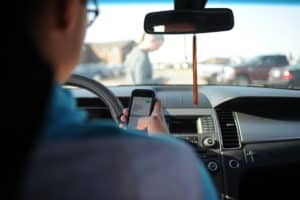 No matter how much phone usage is prohibited while driving, you can still be the unfortunate person that runs into a cell phone user while driving (literally). In fact, many car accidents have occurred within a few miles of people’s homes that are involved. This is because of the false notion that because you are close to home, it’s safe to start unwinding and using your phone. As with aggressive drivers, be conscious that there are people that will not follow the law. At O’Brien, we care about our clients and want them to have safe vacations. If you are ever in a car accident, contact our skilled attorneys that can help you receive compensation. Call us today: (716) 907-7777. Drunk driving has been a serious issue around the world as it has been the direct cause of fatal car accidents. Driving can be dangerous as it is without any impairment, so driving after drinking will clearly be an even bigger risk. In fact, car accidents caused by drunk drivers have killed thousands of people annually. With the injury and mortality rates being so high, police officers and citizens have been even more vigilant than ever to spot drunk drivers and find ways to stop them. Most people of legal drinking age know that they cannot legally drive when their blood alcohol content (BAC) is above .08%. However, as little as one drink can cause impairments including slow reactions, sleepiness, distractions, and difficulty steering or braking. Your age, weight, and recent food intake will all affect your reaction and tolerance levels to alcohol. For example, it’ll take a lot more alcohol for a heavier person to feel the same impairments alcohol can cause a thin person. For most people, only one drink will likely make their BAC at .01% and cause it to continually increase drink after drink. “One drink” also has multiple meanings, however: one drink means one glass of beer/wine or one shot of liquor. Therefore, when you order a cocktail prepared by a bartender, there will likely be more than one shot. In that case, even if you are technically having “one drink,” you have to consider that not all drinks are created equally. Nevertheless, you can still be pulled over and in violation of drunk driving laws even when you’re under the .08% mark. 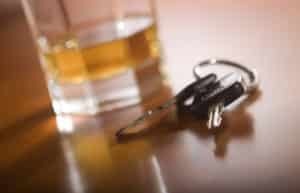 If your driving falls substantially below what is reasonably expected of you after having even one drink, you can still be fined and charged. Even when you think you know your alcohol levels and what you can handle, you may not realize how impaired your diving can be due to intoxication. Repercussions to driving under the influence are severe. Not only do you risk injuring yourself and others on the road, but a “drinking while intoxicated” (DWI) violation will stay on your record, cost you fines, make you go to court, have your license suspended, and possibly serve jail time. In New York, you can also receive an aggravated DWI or increased penalties under certain circumstances such as having a BAC over .18%, being a repeat offender, having illicit drugs on you, or if a minor was in the car. Simply not drinking at all. When you know you’re going to drive, drinking is never worth it. If you were involved in a car accident involving a drunk driver, you may be able to recover compensation. We offer free initial consultations to discuss what happened and see if we can help. Call us today: (716) 907-7777. When you’re driving, you should always have your full attention on the road. Car accidents are far too common and can cause property damage, bodily injuries, and death. In our fast-paced world, we are always trying to multitask and get as much done in the shortest amount of time, but driving is one of the only tasks that always requires your exclusive attention. Practically everyone owns a cell phone these days, but when you’re driving, you should always put it away. The problem of texting and driving has caused thousands of deaths. States have now passed laws banning the use of phones altogether while driving in efforts to stop this. With new cars having Bluetooth capabilities that allow hands-free talking when you really need to speak to someone, there is no reason to use your phone while driving. Phones can also be distracting with their multiple applications allowing people to listen to music and use maps. However, only a few seconds of looking away from the road invites the chance of an accident. Likewise, checking your email or social media is as dangerous. While you’re driving, anything can wait for you to pull over and park or reach your destination before endangering your life among other drivers on the road. Surprisingly, people eating while driving has caused multiple accidents. First of all, if you decide to eat while driving, you’ll have to hold the steering wheel with one hand and partially focus on your food which limits your driving capabilities and focus. Then, if you spill, your mind will immediately focus on that. People have tried cleaning up a spill in mid-drive. Even if you wait until you are at a red light to clean up a spill, if you accidentally lift your foot off the brake pedal causing your car to go forward. Eating while driving has become so dangerous throughout the years that there are lists that include the most dangerous food items to eat while driving. This list includes burgers, tacos, donuts, and beverages. In fact, coffee has been listed as the number one dangerous food item inside a car. Although eating behind the wheel seems innocent enough, that is far from the truth. Your mental state can also impair and distract you from driving. Clearly, being under the influence of drugs or alcohol can alter your mental state while driving. Furthermore, if you are too tired, you could start dozing off. Only a few seconds of shutting your eyes could lead to a crash. Even driving while you’re dealing with heavy emotions such as anger or sadness can cause you to be preoccupied with your feelings instead of driving. Whenever you feel as though your emotions are too strong, it is best to pull over. You always have other options such as taxis and the increasingly popular Uber and Lyft services. There is no excuse. If you are injured in a car accident, you need a personal injury attorney, so you can receive compensation. Our attorneys have years of experience specialized in all types of vehicle accidents. Call us today: (716) 907-7777. 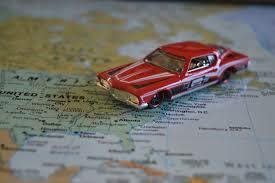 Many people go on vacation and believe it’s better to rent a car rather than driving to their destination. That’s very understandable and in many cases, much more convenient. 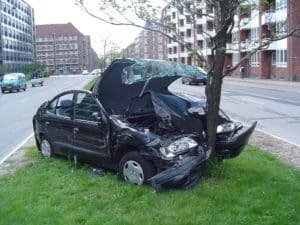 If you decide to rent a car, what if you get into a car accident? Who has to pay the costs? What are the repercussions? Most people don’t take these questions into consideration until they’re forced to. First and foremost, you need to make sure that everyone involved in the accident is alright. Health and safety should always come first. Secondly, you’re going to need to exchange each parties’ contact information. If you can, take photos to document what happened so you have proof of what happened. You will then need to contact your insurance company and the rental car company. One of the most important steps, however, is to contact your attorney. Depending on the rental company, you’ll be able to review their rules and procedures for dealing with accidents. While it is an inconvenience for you, keep in mind that these companies have dealt with car accidents for quite some time. They can figure out what to do, but remember that their main interests involve saving as much money as possible for the companies they work for. On the other hand, an attorney that works for you will have your best interests in mind. They know how to speak to other companies for you so that you don’t have to. The most important precaution is to make sure that you do not publicly post anything that can be used against you. Anything you say can be misconstrued or taken the wrong way. Even a simple Facebook post about your accident could harm your case. An attorney will be well-equipped to provide you with the aid and guidance you need when you have any questions. Depending on which options you chose, you may have gotten additional insurance through the rental company. This additional coverage could be a beneficial investment for you and your family. All of this depends on the cost, accident, and injuries. Each accident is different. An attorney will be able to look over your insurance and rental car policy to explain exactly what the legalese means because you may be entitled to additional compensation. Deciphering this alone could lead to long hours of confusion and a headache to top it off. If you are injured in a rental car accident, you still have options. Whether it was the rental car company that failed to service the car they rented to you or someone else was at fault in an unpredictable accident, an attorney can determine your best options moving forward. A car accident is never a welcomed occurrence, especially not on vacation. Attorneys understand this and can help have you move past it while receiving compensation for injuries that you have suffered. If you are involved in a rental car accident, O’Brien can help you. We can advise you on who is at fault and how to receive deserved compensation. Call us today at (716) 907-7777 so that we can figure out what we can do for you. Seatbelts are the most important car safety device protecting passengers today. The consequences of not wearing a seatbelt can range from a simple fine to injury or death. In the state of New York, the driver and all front seat passengers must wear their own seat belt. Both drives and passengers in the front seat can be fined $50.00 for not wearing a seatbelt. When a driver has only a Class – DJ Learner Permit, a Limited Class – DJ, or Class – DJ Driver License, all occupants in the car must wear a seatbelt. All passengers under the age of 16 must wear a seatbelt or use a child safety restraint system. Drivers are also responsible for making certain passengers under the age of 16 obey the law and buckle up. Drivers can be fined between $25.00 and $100.00 for failure to do so. Additionally, a driver receives three driver license penalty points each time they are found in violation of the law. While seatbelt use is not required for back seat passengers under the law, seatbelt use is still a good idea. Many people buckle up only on long trips. However, seatbelts are as important on short trips as long ones. You can never tell when you will be in an accident – or how serious an accident may be. Seatbelts keep people secure in their seats. This saves lives two ways. First, it keeps each individual passenger from being knocked around the car, and possibly being ejected, causing death. Second, an unbuckled person can become an unguided missile, causing injuries to others in the car as they are tossed about the cab of the vehicle. The idea that ejection is safer that remaining in the car is a myth. In fact, occupants are four times more likely to be killed if they are thrown from the vehicle. A seatbelt reduces the likelihood someone will be thrown from the vehicle. These unpredictable and often unavoidable situations can happen at any time, regardless of how close to home you are. At O’Brien & Ford, we care about your safety. All too often, we see clients who are suffering due to an unanticipated car accident. We work hard to get our clients the money they need to heal after an accident, as well as the money they are entitled to as compensation for lost wages and medical bills. Contact O’Brien & Ford today if you have been injured in a car accident. We look forward to discussing your case and learning more about your injuries. We can help. Call today at (716) 907-7777.